Have you ever needed to search and replace text in sales contract or invoice stored in your Salesforce account? The search tool is one of PDFfiller’s latest enhancements. 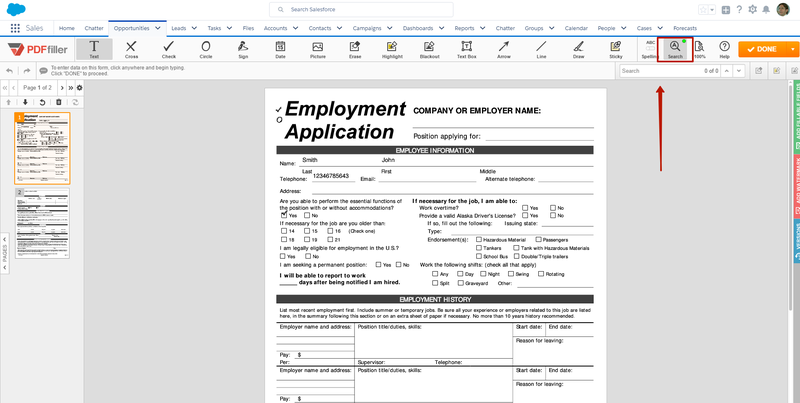 Using this tool, you can find a word or a phrase in a PDF or Word document stored in your Salesforce account. 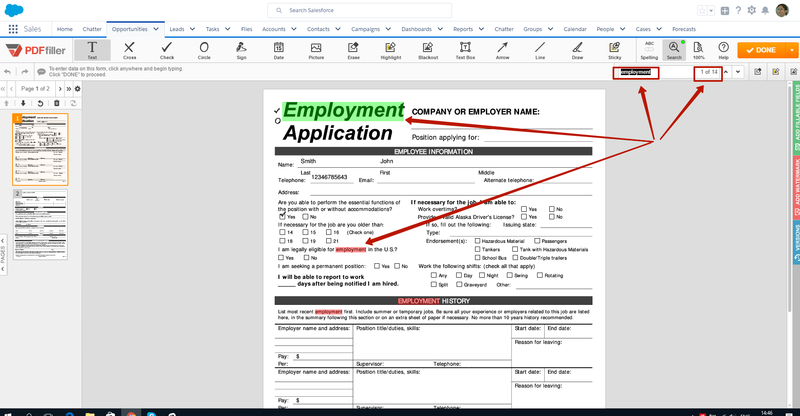 Now you will save even more time editing or annotating your attachments because the search tool not only finds words, but also enables you to erase, highlight, or redact them.